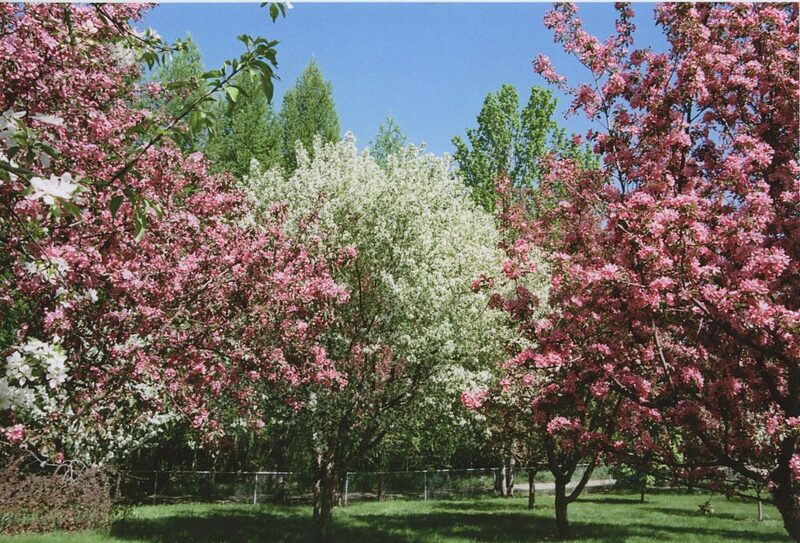 Crabapple Lane began as the 'Flowering Tree Garden' in 1996. The first trees planted were two butternuts, a black walnut and a horse chestnut which started off as a seedling that a volunteer had acquired. 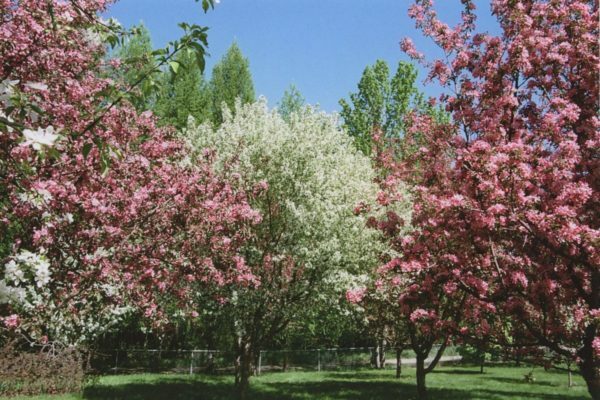 The dream was to plant as many ornamental crabapples as possible and thanks to Stewart Brothers Nurseries in Kelowna, our initial trees were all generously donated. 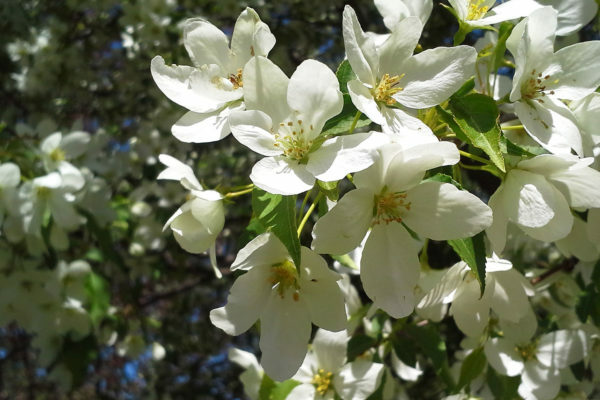 Planted randomly, there were many struggles along the way to the brilliant display of blossoms we now enjoy every spring. New trees need water and the logistics of getting the water to the garden was an issue. We had some assistance with grass cutting from the City but unfortunately grass trimmers and young trees are not a good combination. Early on there was a devastating winter where deer were eating the bark from the upper part of the tree while smaller animals were nibbling lower down. 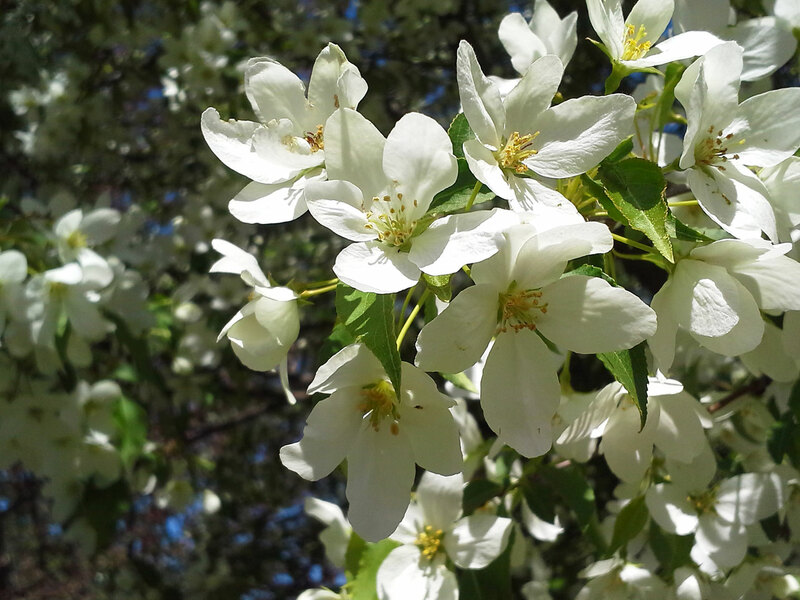 Volunteers and trees managed to survive the pitfalls and we now have a picture perfect spot to sit and enjoy nature. 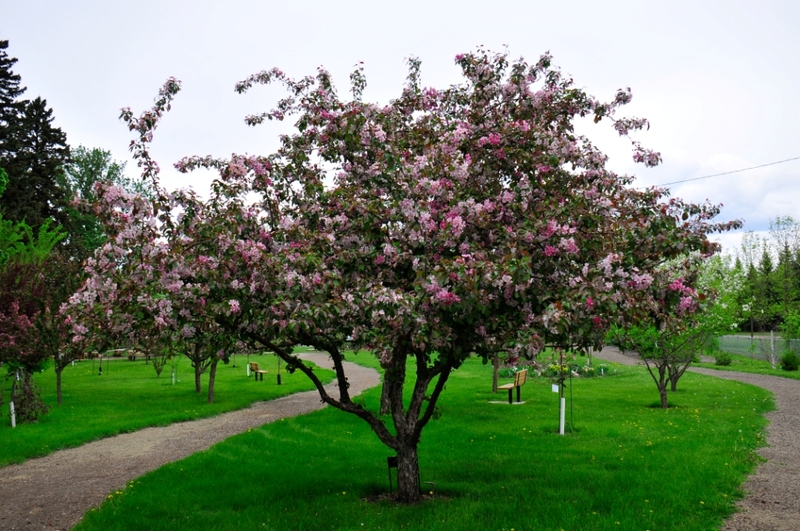 As this area mostly contains ornamental flowering crabapples, it was decided in 2016 to officially name the area 'Crabapple Lane'. In 2017 volunteers will be constructing a brick pathway through this area.